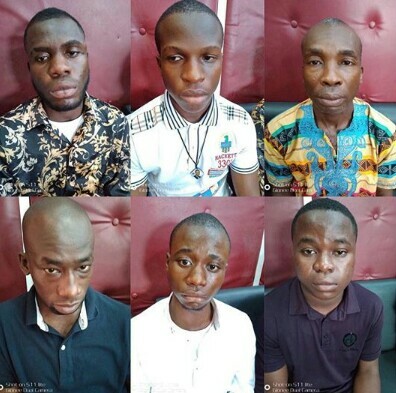 It was harvest of convictions for the Benin Zonal Office of EFCC, today, September 24, 2018, as 7 persons were convicted and sentenced to various jail term by the Federal High Court sitting in Benin City, Edo State. One of the convict, Ekoh Noel was arraigned on a one count charge of obtaining by false pretence. He was said to have impersonated and represented himself as Mike Ezuruonye, a popular Nollywood Star on Facebook to defraud his victims. . Upon his arraignment, the convict pleaded guilty to the charge and was consequently sentenced and convicted by Justice P. I. Ajoku to one year imprisonment. In a similar vein, the Judge sentenced one Favour Ojefia to six months imprisonment for fraudulently obtaining goods worth N500,000 only from one Imasuen Christian Osahon of Just Cute Ventures. . The convict who was arraigned on a one count charge, pleaded guilty to the charge and was consequently sentenced to six months imprisonment. . The same six months is what the court ordered Alex Igbinidu to spend in prison for also defrauding Just Cute Ventures. .
Also convicted by the court is Odiete Jude Erowhow who bagged six months imprisonment for fraudulently obtaining by trick the sum of N426,000 only from one Sunday Ogba. .